The state of Wisconsin is considering a $6.7 million upgrade for every 911 call center. The upgrades will focus on IT. We hope they consider an upgrade of their 24-7 chairs as well. 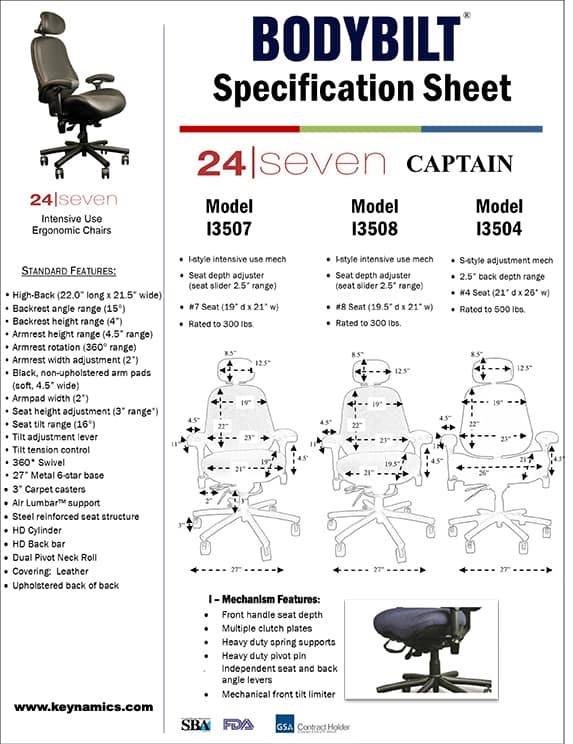 Keynamics has been providing 24-7 chairs for 911 call and dispatch centers of over 10 years – it’s our specialty. A chair can do more to improve a dispatcher’s efficiency and comfort than any other office tool. Bodybilt chairs have been proven to provide more comfort that just about any other chair, while our 24-7 Intensive use line will last for many years. Bodybilt chairs are custom made to order with many options to fit various end user height and weight ranges. We usually sell a fairly standard model to 911 Call centers for 24/7 use.